Ever since I read this article I had my heart set on donning a beret and visting the joint venture of two star Frenchy french star chefs that have long since glittered on the Perth food scene, from The Loose Box, Alain Fabregues and from Choux Cafe, Emmanuel Mollois. Bistro Des Artistes is situated on Hay St in Subiaco where Rialtos used to be, the doors swung open a few months ago and already the place has a solid reputation that has earnt it accolades in the WA Good Food Guide 2013. Nice work! 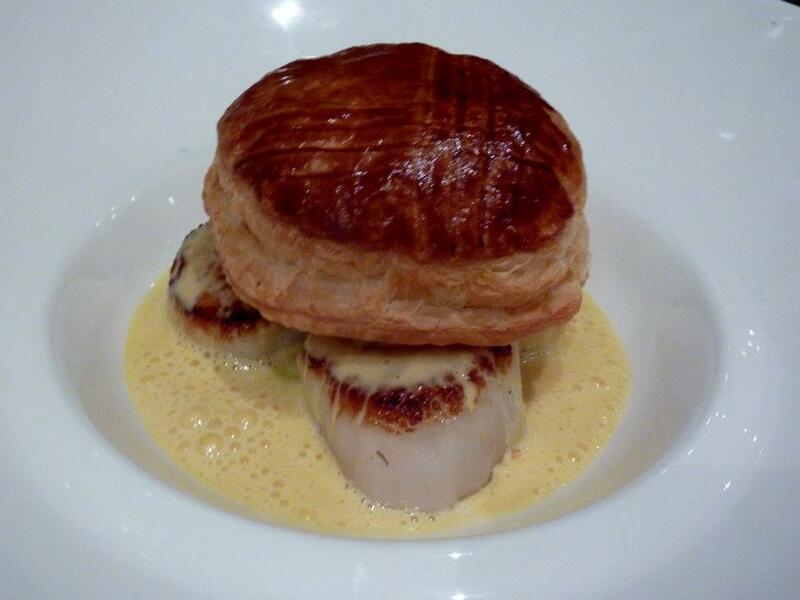 So I was more than a little excited when the stars aligned and GG and I managed to make a mid week booking for dinner. 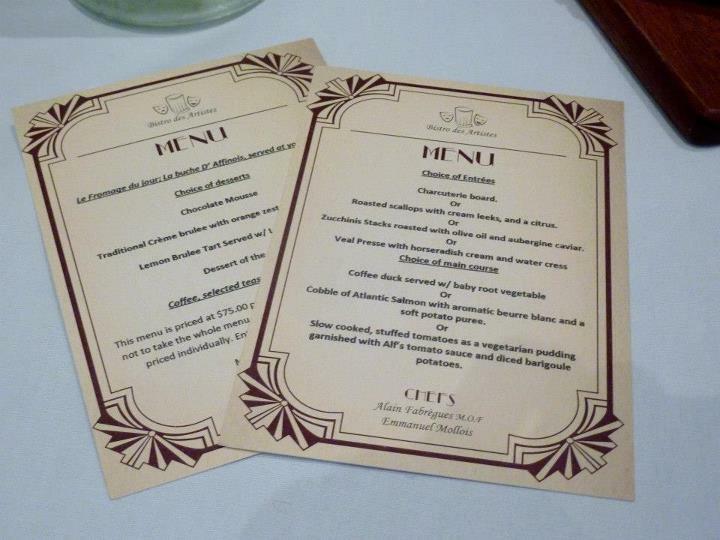 The menu is structured so that you need to order a minimum of two courses, which costs $35, or 3 courses which is $50 or for $75 you get 3 courses, cheese and a few little extras thrown in. We decided that since it was our first visit we’d go all in and decided the $75 menu was the way to go. I was surprised at the size of the place. From the front it actually looks quite narrow but it goes back a looooong way! Plenty of white and very well mirrored. The place has a nice casual feel to it, all a little bit Parisian. 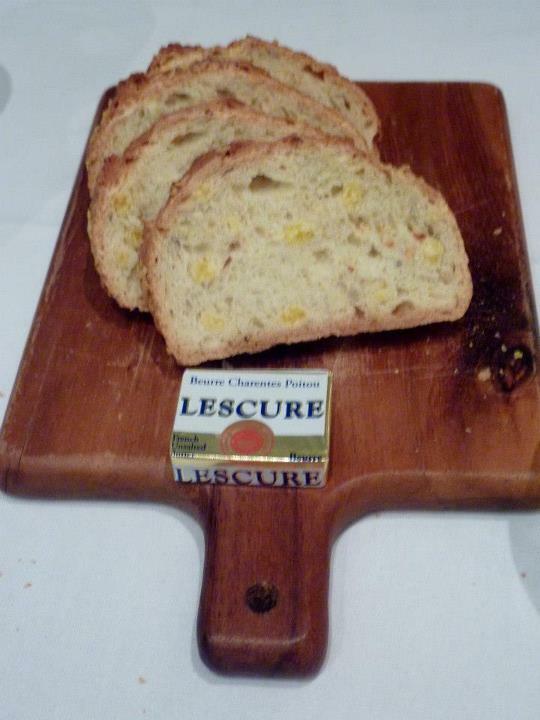 We sat at our table and enjoyed the freshly baked bread that they bought to us, complete with la la lovely Lescure butter. Entirely delicious. And as we did that we chose our three courses off the menu, which changes daily based on what fresh produce is available. That sort of dynamic element to a menu is to be applauded, keep things changing and means it will likely always be different whenever you visit. I decided to start with the Charcuterie Board, beautiful terrine, pate, pickled vegetables and a precious rose structured from jamon serrano – delicate deliciousness. It was a wonderful selection and a more than generous entree serving for one. Across the table GG gave rave reviews to his starter of Roasted scallps with cream leeks and a citrus. 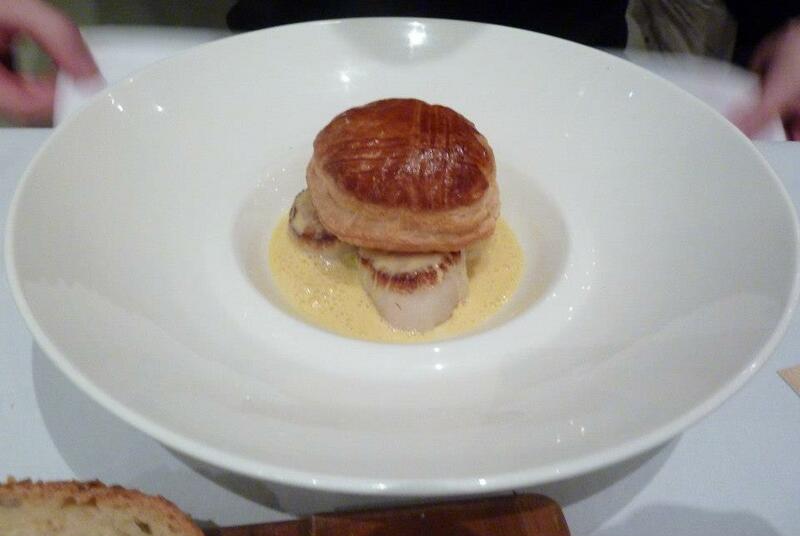 Big plump scallops with its crispy pastry top. It did look pretty good. I couldn’t go past the duck option for my mains, long time duck dan right here, Coffee duck served with baby root vegetables. 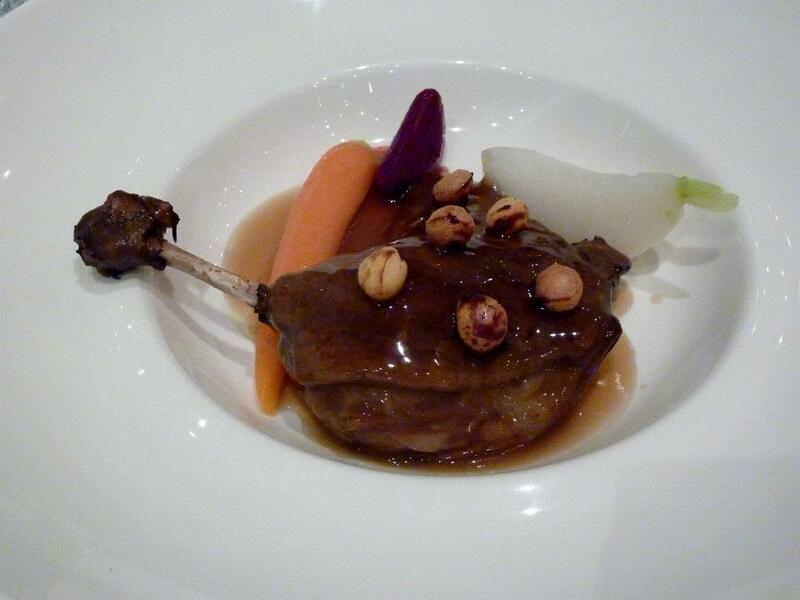 It was perfectly plated with every vegetable so carefully crafted. The sauce on the duck was actually lighter than I thought it would be and the duck itself was so moist and just fell off the bone. Amazing! Keeping with the seafood theme, GG ordered fish for his mains – Cobble of Atlantic Salmon with aromatic beurre blanc and a soft potato puree. 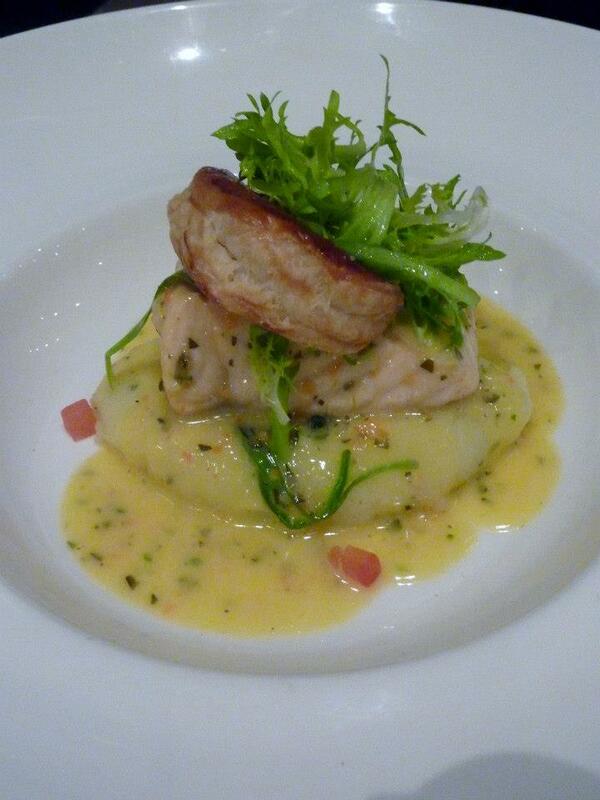 A carefully crafted tower of the creamy mash with salmon perched on top and a carefully placed handful of decorative greens. Again, another well received course. Given we’d opted for $75 menu up next was a cheese course. It was this beautifully creamy camembert, that was theatrically sliced at our table and served with these little green apple matchsticks coated in a sour cream style sauce and also some more of the freshly sliced bread. 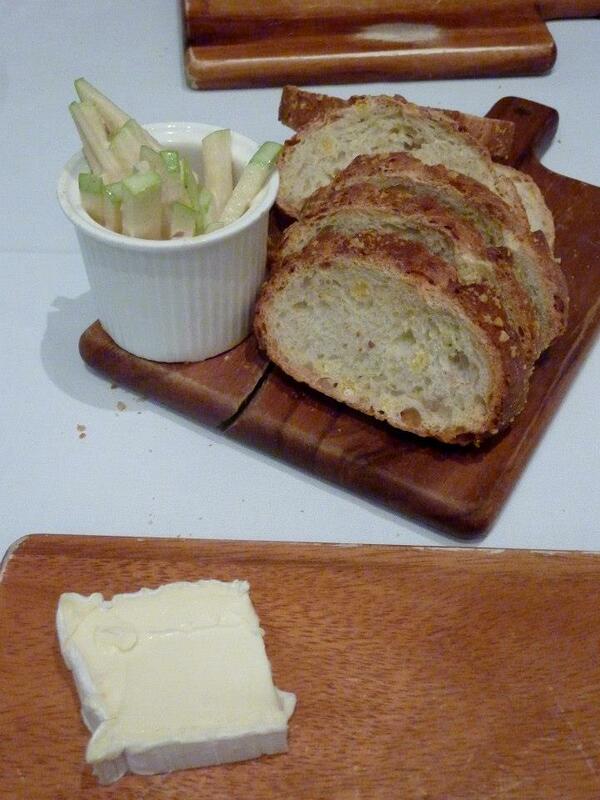 I was a little breaded out, having overindulged before the entree, but the cheese with the refreshing apple was a perfect combination. I could have gone to town on that big wheel of camembert, but I was grateful that the serving size was more moderate because dessert was just around the corner. And as it turned out, before dessert they actually bought out pre-dessert. It was a precious little dish of rice pudding, which had this amazing salty caramel in the middle. I’m not the hugest rice pudding fan, but I loved the caramel and GG polished off the rest of mine for me. 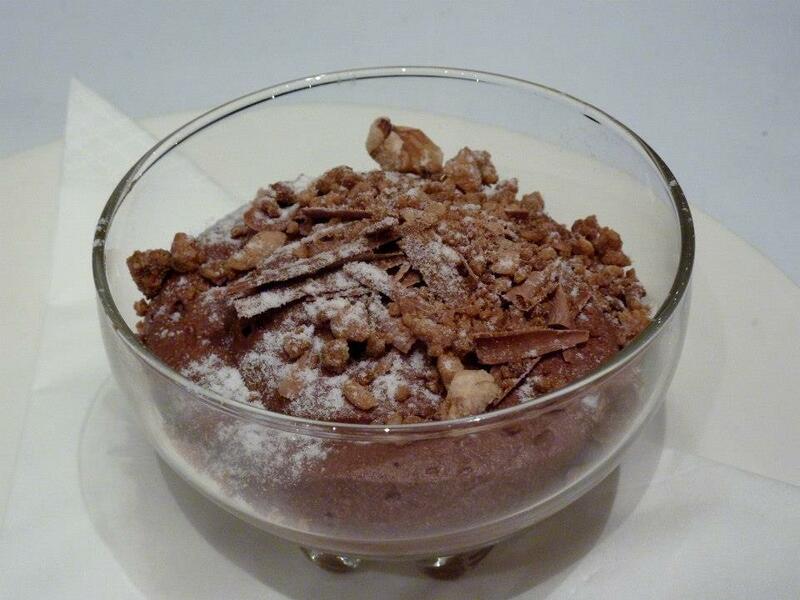 To round out his three course experience, GG couldn’t go past the Chocolate Mousse for dessert. It looked lovely in its dainty glass bowl and I was also lucky enough to sample some and it really was that perfect blend of rich creamy chocolate goodness. Delightful! 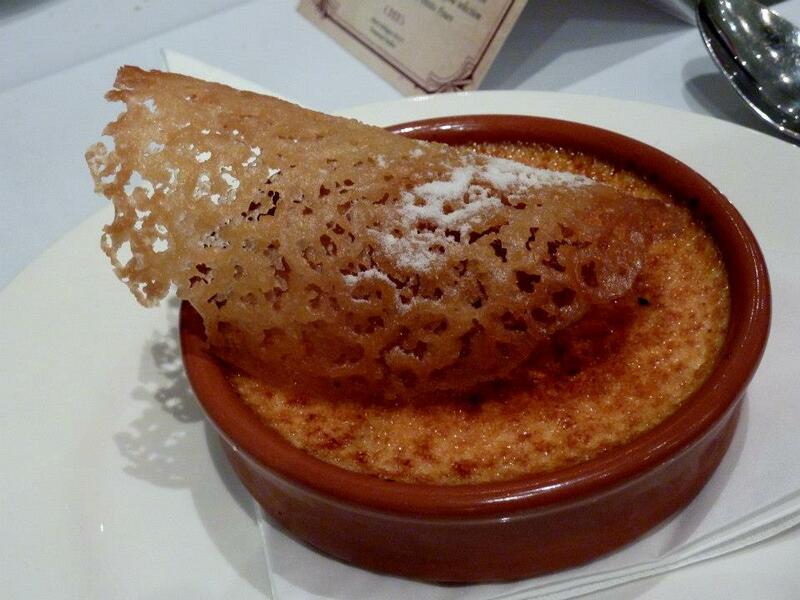 I decided to keep things really french and went for the Traditional Creme Brulee with Orange Zest and Orange Tuille. 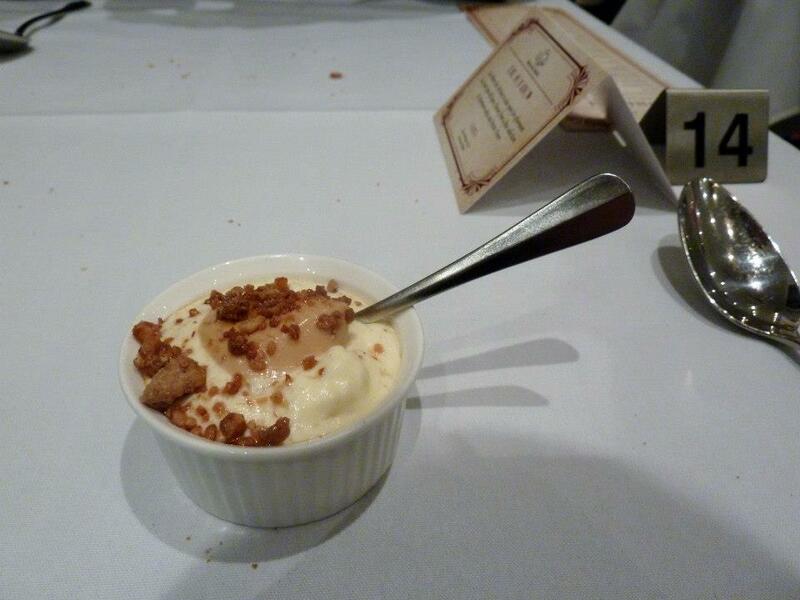 The tuille was beautiful and had this wonderful, sweet, crunchiness to it. Reminded me of the time I tried to make brandy snaps. They were harder than I thought, but I managed to get a few that were passable. I digress though, once I broke my spoon through the crispy burnt sugar on top the brulee itself was this creamy wonder that worked so well with the orange zesty it had through it. Very nice and a more than decent serve! 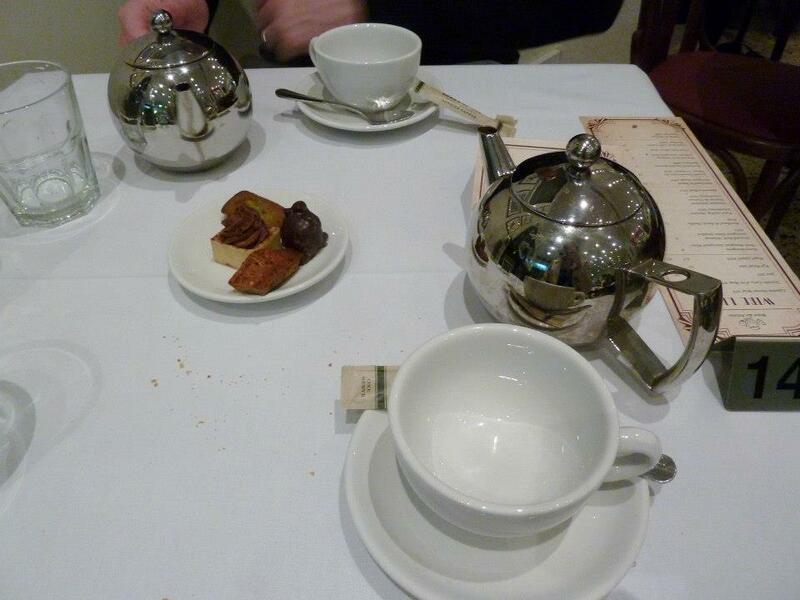 To round out the menu, a plate of petite fours were delivered along with our chosen hot beverage, which for us both on this occasion was tea. All very pretty, the little sweets and the silver pots. 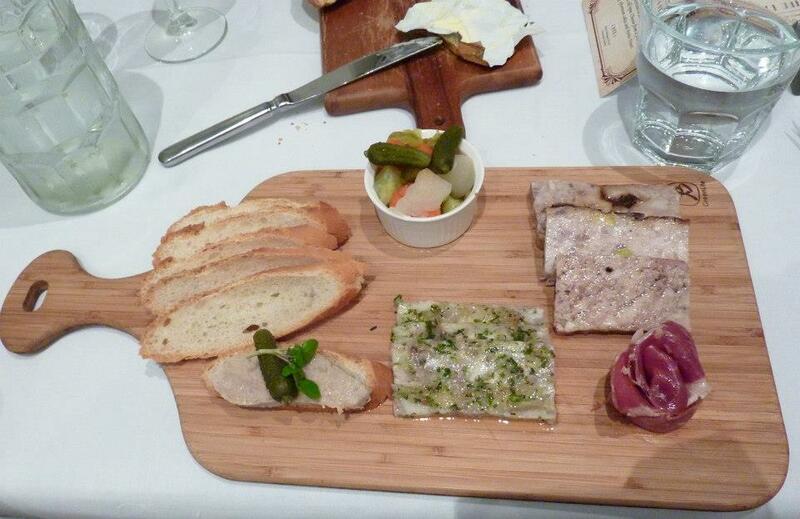 We’d really enjoyed our time at Bistro Des Artistes. The food was well prepared and wonderfully tasty. There were a few things about the service that could perhaps have been a little stronger, but I’m sure that might just be because the team is still a little green. My only other issue with the visit was where we were sat. 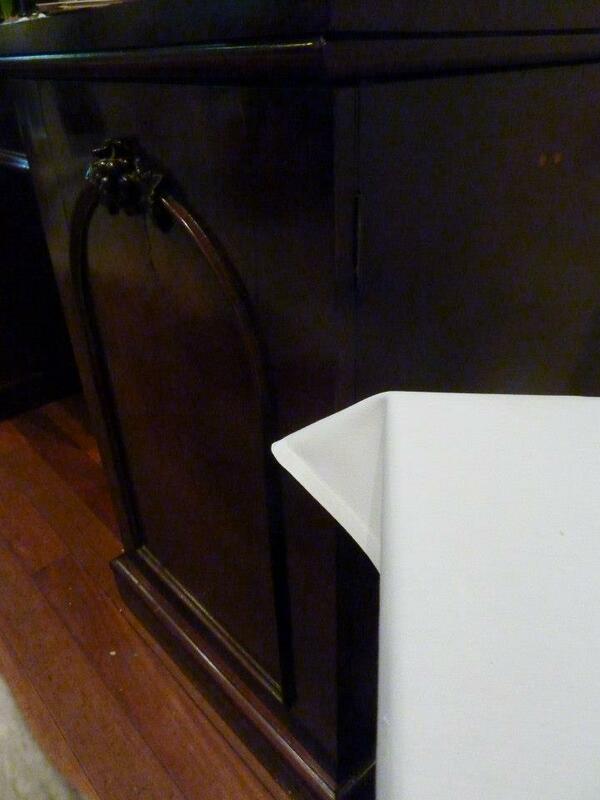 Tables weren’t particularly snug, but our table was sat right next to the bread and cutlery station and my chair kept getting cracked with the door every time anyone needed a spoon. A little annoying…. perhaps if the tables could just have been shuffled just a little further away would have been perfect. And perhaps I could have just said something. I’ll know for next time. Despite these minor issues, it’s a lovely spot and definitely worth a visit. Viva la France! Merci Alain and Emmanuel.